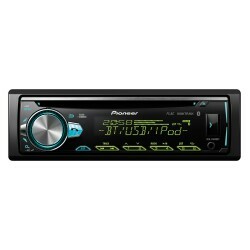 Car Audio Centre provided an excellent service when I ordered by InPhase IPS-249BT when it was on sale. When I say Sale I mean, wow that's damn cheap sale. Unfortunately I accidently sent it to the wrong address (2 instead of 4) but I rang them up the told me what address I sent it to and if there was a problem at the post office they would help me out with getting it to me. I fortunately got the red slip from no 2 and received the item no problems. The product was well packed and arrived in 2 days after ordering. I would definatly use them again when I need anything else for my car.